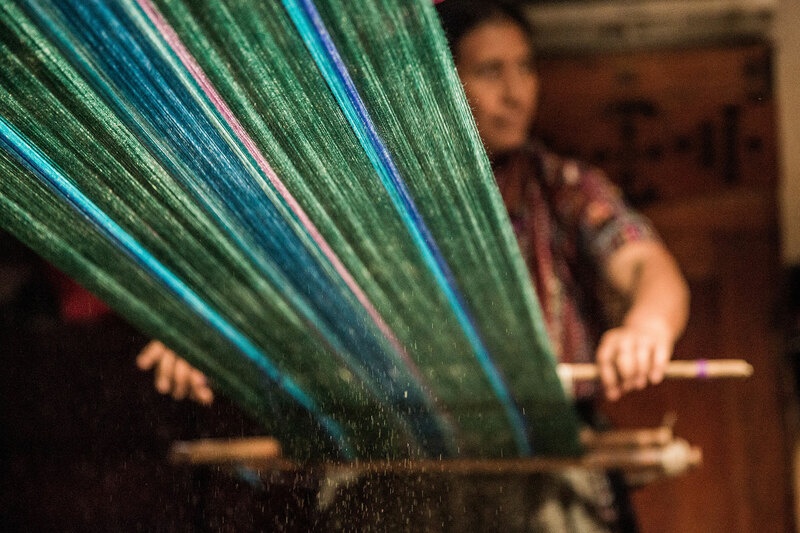 A photography of Lucia Bucel Buch weaving inside her home in San Jorge, Guatemala. In Guatemala, indigenous weavers and artisans are currently fighting for legal recognition of their art, traje (traditional dress), and cultural heritage to prevent theft and exploitation. With official recognition, the indigenous groups not only hope to prevent appropriation of their sacred designs, but also raise knowledge and awareness about indigenous art and culture amounts the younger generations. Achieving this recognition for their work and heritage is a critical step in ending the marginalisation of indigenous communities, assisting them both economically and culturally. For now, the weaving program run by Mayan Families provides a self reliant and stable income for the women involved.